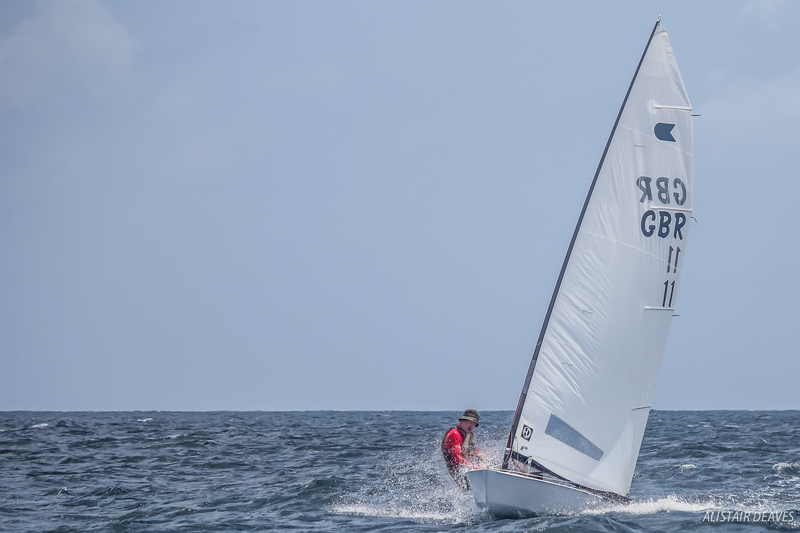 Barbados delivered yet another challenging day of racing on the third day of the OK Dinghy World Championship in Carlisle Bay. Nick Craig, of Great Britain has built an eight lead after another solid day, while Jim Hunt moves up to second and New Zealand’s Paul Rhodes climbs to third. Race wins went to Hunt and Craig. Out on the race course the strong winds were favouring the left hand corner again, with the fleet heading into the beach to get the pressure into the top mark. The reaches were spectacular, and over all too quickly, with some huge rolling waves adding to the challenge to stay upright and in one piece until the gybe mark. 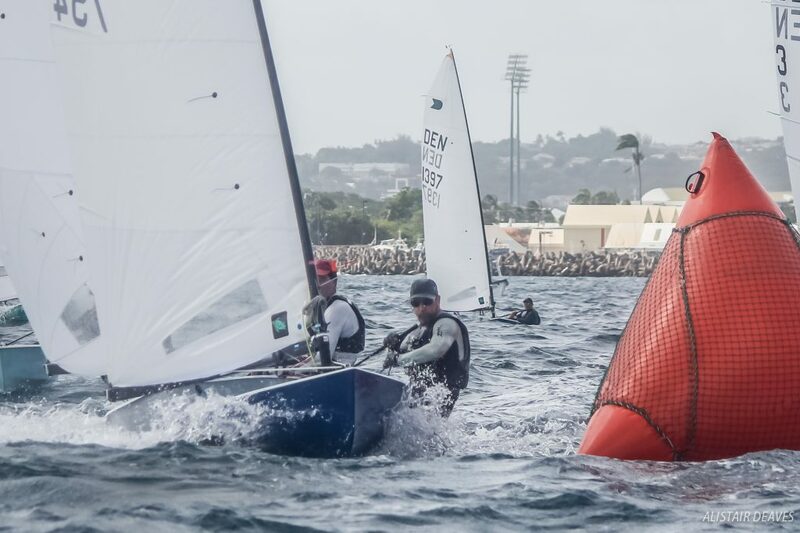 Leading round the top mark in Race 5 was New Zealand’s Mark Perrow from lead Hunt and Australia’s Brent Williams. Defending world champion, Hunt, took the lead on the reaches and maintained it to the finish to win his first race of the week. Starting under the black flag one of the casualties was second overall Luke O’Connell from New Zealand. Little changed for the start of Race 6 with 25 knots of wind making for some exciting racing. Poland’s Pawel Pawlaczyk led at the top in Race 6, from Perrow and Craig. Rhodes had moved up to second at the bottom mark but then Craig moved ahead and extended on the second upwind to begin to build a huge lead and win his fourth race from Williams and Rhodes. Overall, Craig now takes an eight-point lead over Hunt, with Rhodes another 10 points behind, with just four races to sail. Before the Pirates Cove Beach Party, the class held its Annual General Meeting with very little on the Agenda. Having just introduced new Class Rules, effective from June 1, there were no rule changes proposed, though there were a few personnel and event decisions to make. Mark Jackson, of Australia, was elected as President following the four-year term of Bo Teglers from Denmark, while Jonas Börjesson of Sweden was elected, following the retirement of long-term committee member Darek Kras of Poland. Fleet development, improved finances and strengthened event management were a few of the areas that the meeting heard about. The gathering also approved the committee nomination for the 2018 European Championships to be held in Bandol, France in late September/early October. Barbados is certainly living up to its reputation for great hospitality, but there are only two more days for the sailors to enjoy the Caribbean lifestyle. Two more races are scheduled on Tuesday from 12.30. 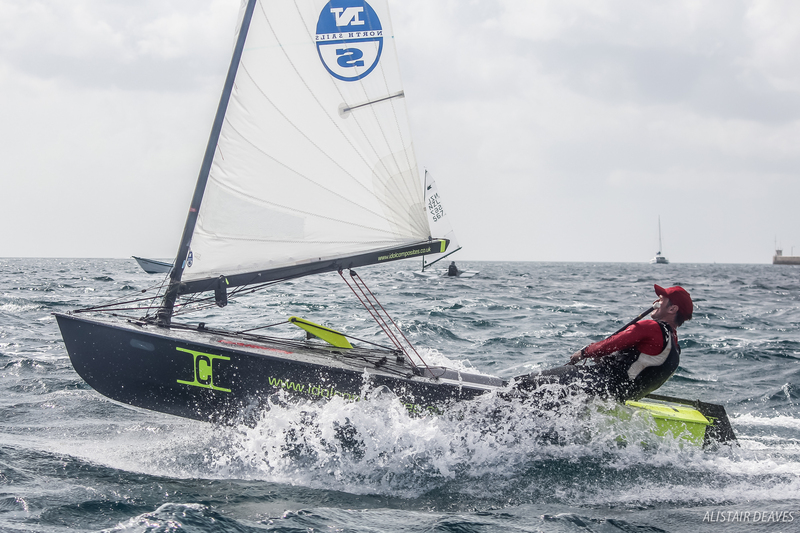 The 2017 OK Dinghy World Championship consists of 10 races and concludes on Wednesday 31 May.